Take your Duramax to the next level with BD’s SuperMax turbo system. Using the BD/AirWerks S300 turbo, the SuperMax creates enough airflow for up to 550 rear wheel horsepower (rwhp), at 40 lbs. of boost on diesel only. 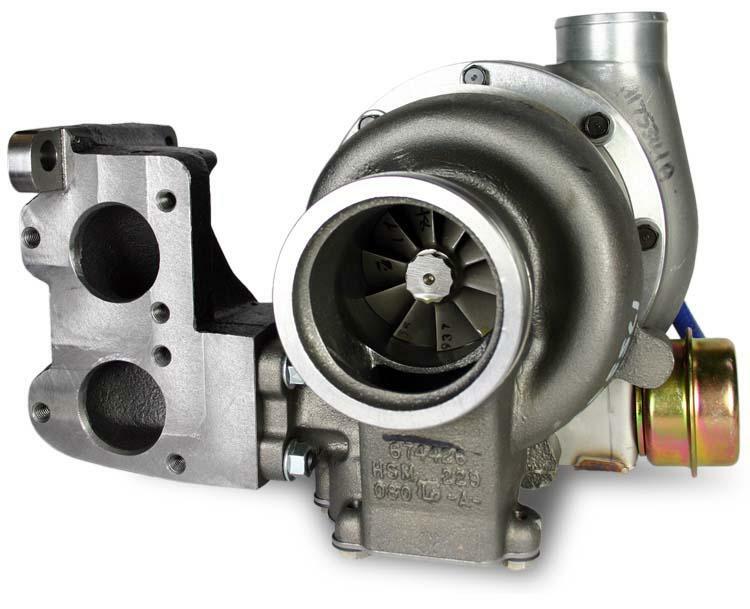 The unique BD/AirWerks compressor wheel creates quicker spool up, while greater overall efficiency lowers EGT’s, reduces exhaust emissions and improves fuel economy over the stock turbo system. A six-pad thrust bearing and a revised oiling system vastly increases reliability. Designed as a direct replacement for the stock turbo, the SuperMax system comes with everything needed for installation, including a cast-iron pedestal adapter, exhaust down pipe, oil drain tube, hoses, gaskets and hardware.